ANAMOSA — Like sunlight streaming through a cell window, God’s grace enters even the toughest prisons. Nowhere is this more evident than at Anamosa State Penitentiary’s chapel on a Sunday morning. The worship space hosts prisoners of many faiths. For Catholics, the opportunity to receive the sacraments of reconciliation and holy Communion are available every week there thanks to Catholic Charities of the Archdiocese of Dubuque’s Jail & Prison Ministry, a dedicated team of priests and deacons, and the generosity of donors. The spiritual life at one of Iowa’s highest security facilities takes place with the support of the warden and staff. Several dozen prisoners attend the Catholic liturgy every week. Some of them recently reflected in writing on the role these sacramental opportunities have in their lives. “Being a part of the full Mass on Sundays, I participate in an event expressing shared faith with the whole Catholic family which for me provides a sense of the importance to be part of the community here and there,” added Monty. Catholic Charities’ Jail & Prison Ministry, currently led by Deacon Bill Hickson, has a long history at Anamosa State Penitentiary as well as at other state and county prisons. Reaching out to incarcerated men and women is part of the ministry’s overall program based on restorative justice. This also includes support for former inmates once they regain their freedom. 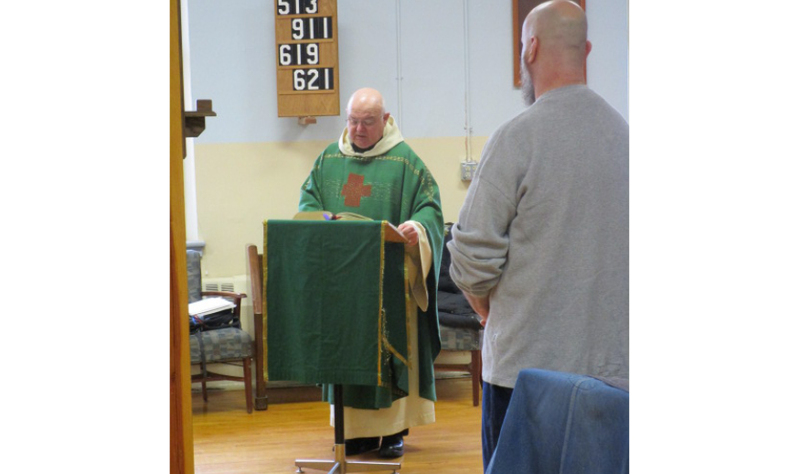 In recent years, there has been an organized group of priests who share the responsibility of visiting the penitentiary to provide sacraments on a rotating basis. 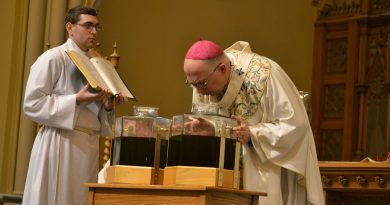 Many of them are retired, but a few, including Archbishop Michael Jackels and a bilingual priest who celebrates the Mass in Spanish, are in active ministry. The current effort has deep roots, according to Father George Karnik, who has been involved at Anamosa for over 30 years. He was among a group from the outside that, in 1975, came in for the first Christian Experience Weekend (CEW). The weekend-long retreat took place in the gym. 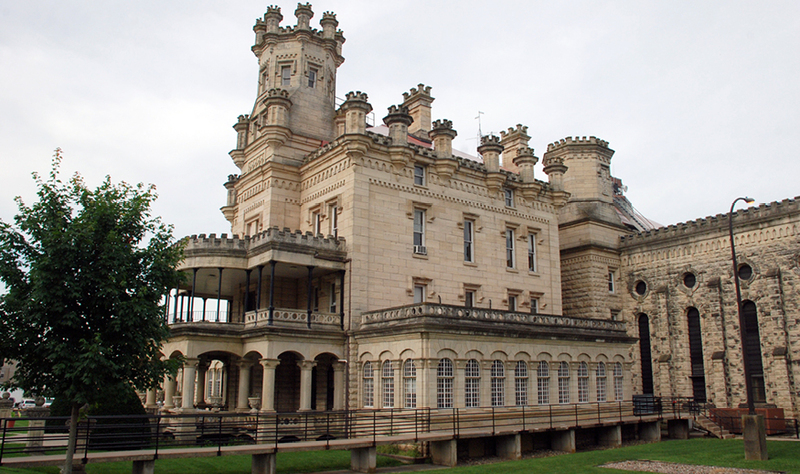 Anamosa State Penitentiary from the outside. “We slept right on the floor with the guys,” recalled Father Karnik. The priest still visits regularly. When he does, he described a strict screening process upon entering. He called the work of the guards a “very special ministry” and also expressed respect for the prisoners who have specific responsibilities in the chapel each week. 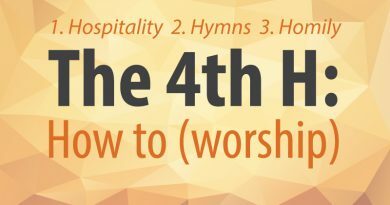 Clergy bring in wine and holy oils, but inmates, in cooperation with staff, prepare the unconsecrated hosts, set up the altar and perform other tasks, including music. On Sundays, Mass usually starts at 8:30 a.m., with reconciliation happening before that. Many participants, like an inmate named Terry, never take these chances to get closer to God for granted. Inside the chapel, there is a mural of St. Dismas on the cross, one of two convicted criminals crucified with Jesus. Dismas asked for mercy and was welcomed into heaven. 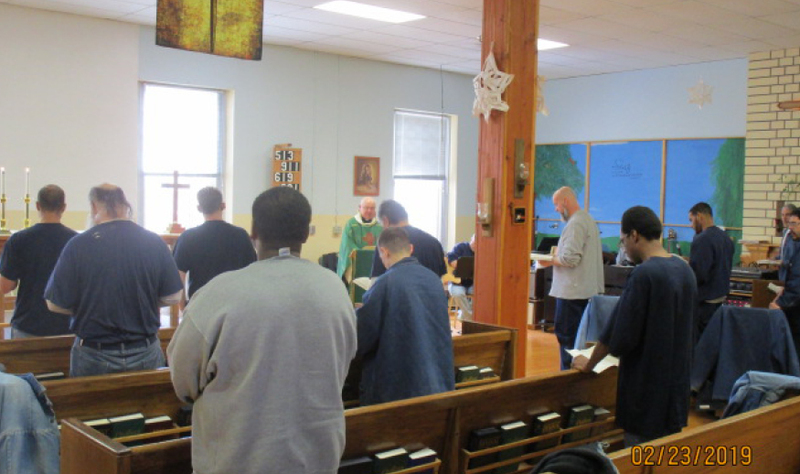 In addition to the Sunday morning activities, deacons and lay volunteers visit at other times to assist with Rite of Christian Initiation of Adults (RCIA) classes at the penitentiary. Over the years, inmates have joined the church or come into full communion after already having received some of the sacraments of initiation. “The men of faith and hope in the prison inspire me to want to be a better priest, an unworthy sinner called to serve those Jesus died to save,” said Msgr. Bleich. Many people outside of the penitentiary have supported the efforts of the jail and prison ministry there. One of those groups is the Ancient Order of Hibernians Division 2, based in Dubuque County. This faith-based organization also has the mission of preserving Irish Heritage, according to President Pat Leonard. About two years ago, the Hibernians contributed money to provide a new sound system for the penitentiary ­chapel. 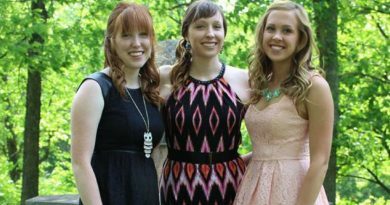 More recently, they donated a sum to cover some of the travel and other expenses necessary to have the Sunday Mass. The Knights of Columbus is another organization that has offered support. 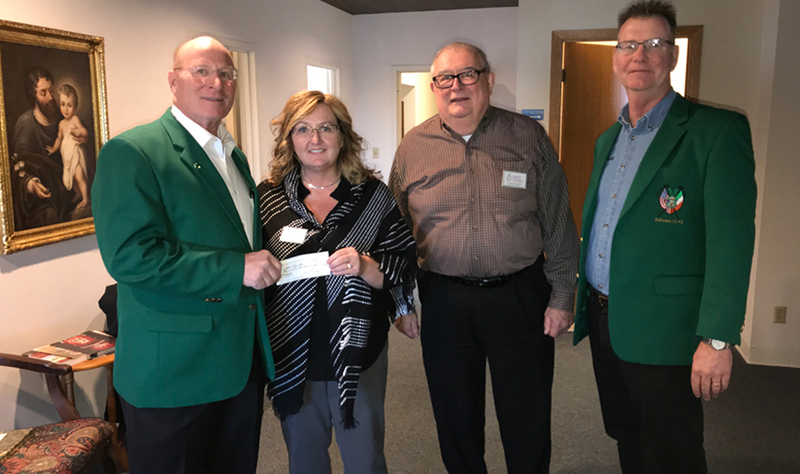 Recently Council 15813 at St. Columbkille Parish in Dubuque held a breakfast with all proceeds given to support the Mass and other ministry activities at the penitentiary. The Catholic inmates at the penitentiary expressed gratitude for all those who support the jail and prison ministry, especially the priests. For more information on volunteering with or contributing to Catholic Charities’ Jail & Prison Ministry, visit www.catholiccharitiesdubuque.org.